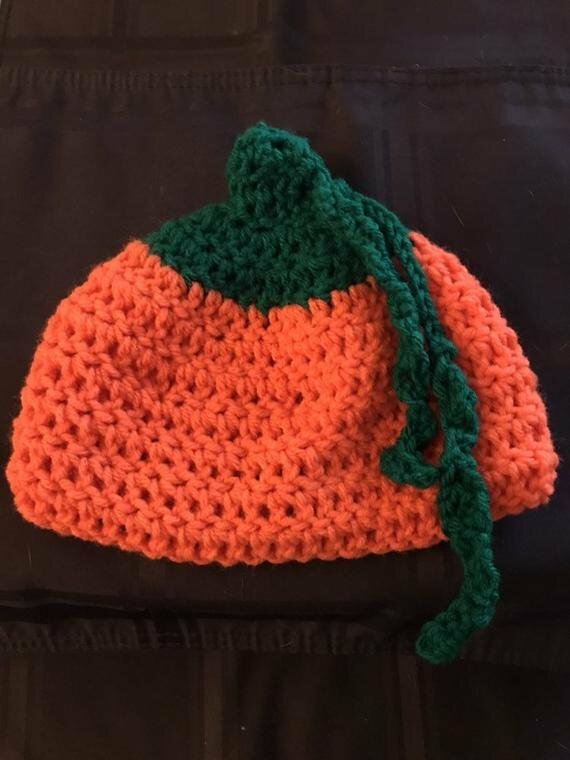 Here's a picture of a couple halloween beanies I finished recently. 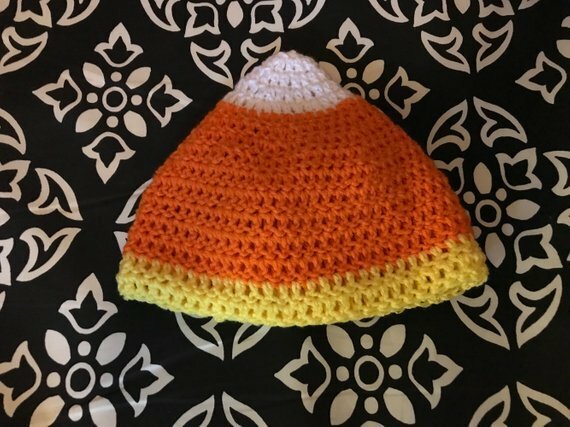 A candy corn beanie and a pumpkin beanie. What do you think? Thank you both. Fun to make now trying to figure out what to do next. What are you (Legal Woman and Tampa Doll) working on? 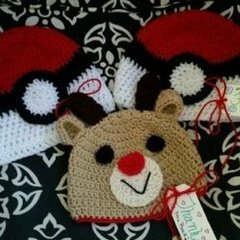 The hats are very cute. 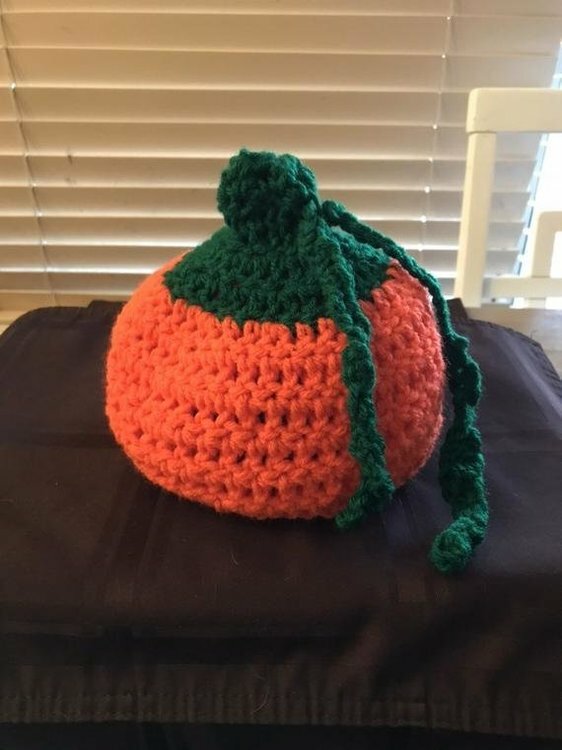 If you're still looking for something to crochet, how about different size pumpkins? They look so cute sitting on a table. Thanks for the links Reni, I'll check them out.